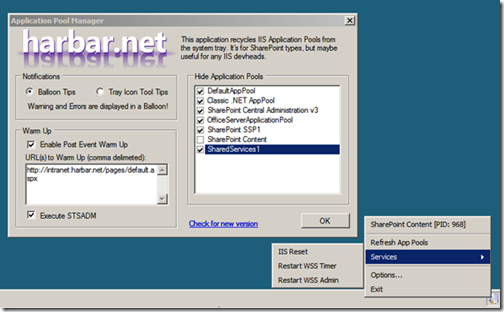 Finally managed to finish up a new version of the Application Pool Recycle Utility for SharePoint Developers! 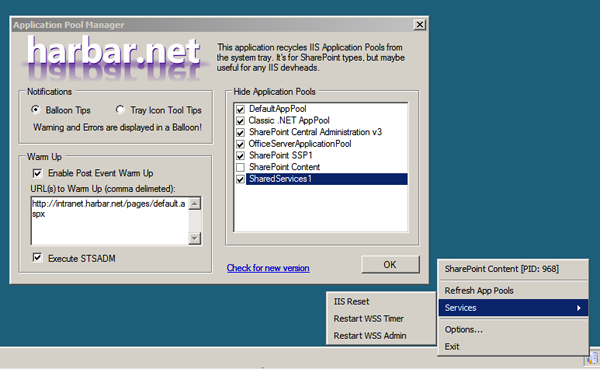 This release features many enhancements and a couple new features based on feedback. You can download the new release and view more information here. [Update 26/05/2008] Please note this is the last major release of the original codebase. Whilst minor fixes will continue to be made, future major releases will target Windows Server 2008 only.